See more objects with the tag drinking, tableware, wine, silver-plated. This is a Wine coaster. It is dated ca. 1810 and we acquired it in 1986. Its medium is sheffield plate (silver, copper), wood. It is a part of the Product Design and Decorative Arts department. Still common at formal dinners, decorative wine coasters were purpose-built table accessories intended to protect expensive tablecloths. 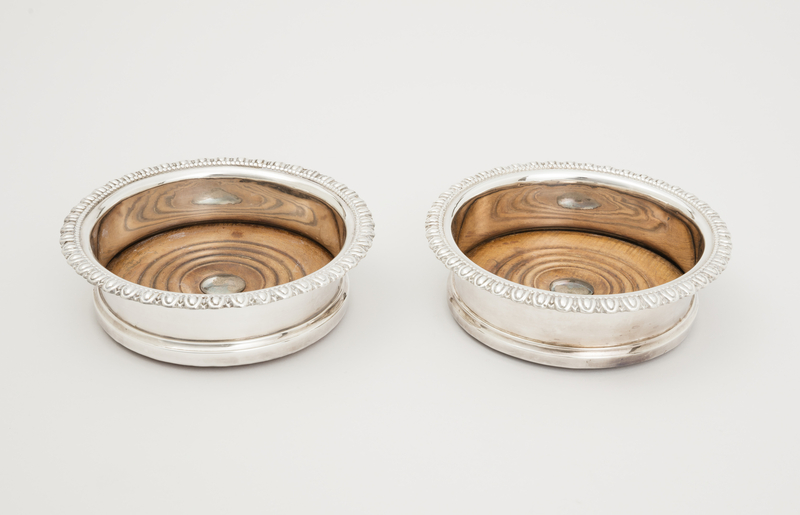 The silver-plated sides of this coaster provided an attractive stand for the bottle, while the wooden base was able to absorb any spilled or dripping wine after it had been poured.